pearls and different textures… I think my style is like “Shabby Chic with mix media” love that my pages look delicate, romantic and feminine. 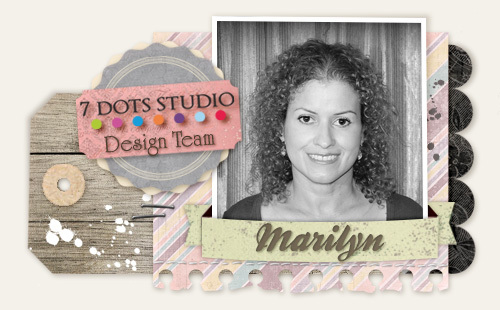 I’m so happy and excited to be part of the 7Dots design team, it’s a dream come true! !